photos of the former first lady and various household items. 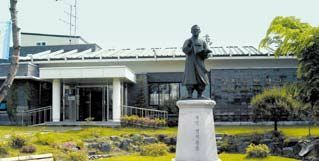 Okcheon is the hometown of the poet Jeong Ji-yong, the composer of Hyangsu (Nostalgia), one of the greatest poems in Korean literature. The thatched house in which he was born, and a literary house that introduces his poems are situated in the town.